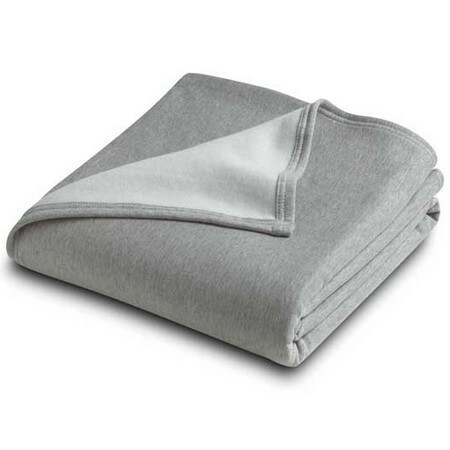 It's like your best friend, if your best friend is made of sweatshirt fabric in a soft, comfortable blanket! Generous, extra large size offers lots of room. Smooth jersey fabric on one side, cozy fleece on the other. 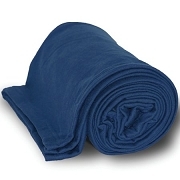 It's the perfect blanket to keep you comfortable in any season. Available in any color as long as it's heather grey. Medium weight 9 oz., 50% cotton/50% polyester fabric. I saw this blanket at a friends house and knew I had to have one. It feels like a soft sweatshirt and it's size provides lot's of room to cover my feet and pull up to my chin when relaxing on the sofa. If you like a throw or blanket when relaxing in your favorite chair or watching TV, treat yourself to one of these blankets. I think it would make an awesome gift, too. Nice blanket. It holds up well. It's a good weight, not too heavy, but warm. Washes up good too. Shipping was fast. It's exactly as described, it's comfortable, seems to be high quality, and my wife won't use any other blanket now. We purchased these blankets for Christmas gifts for our staff. The company was great to work with. The product arrived when expected and the quality is very nice! I have received numerous compliments on the blanket. Will definitely recommend your company to others. 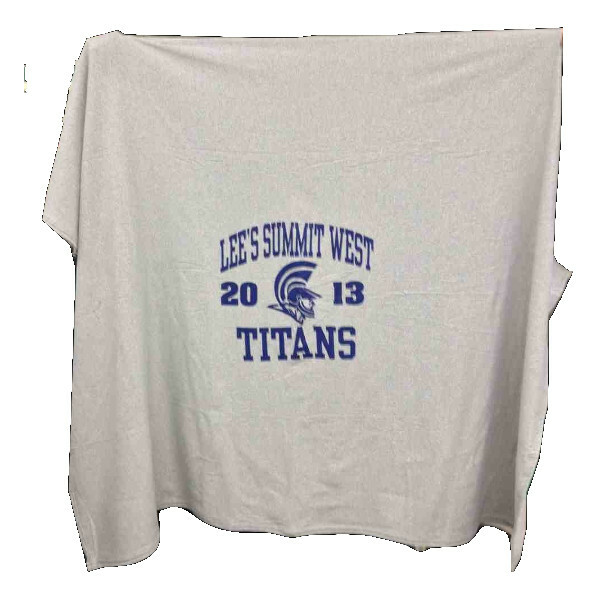 The Jumbo Sweatshirt Blanket can be customized with your logo! 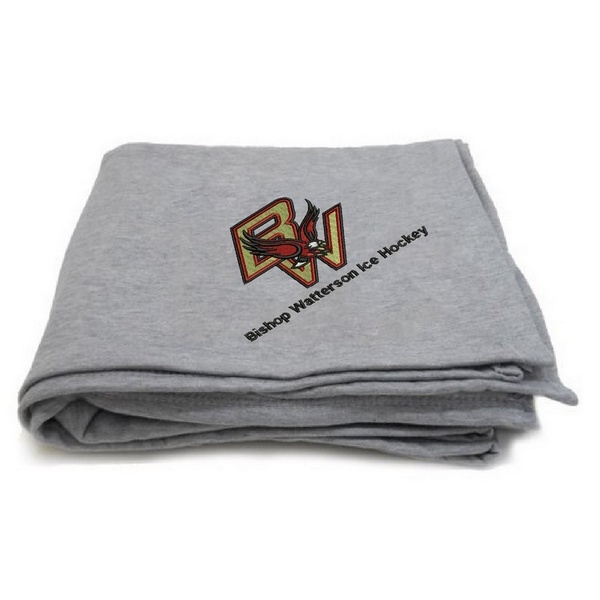 Custom sweatshirt blankets are perfect for schools, teams, or fundraisers.